End of March, the season starts earlier than normal Two Couples from Canada London and Paris Repeat guests from Canada joined James for a week split between two great cities, London and Paris. The trip included a train ride through the Chunnel from London to Paris. Steve and Debbie’s renewal of vows day came on their 20th anniversary. 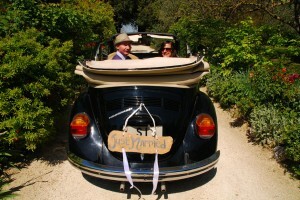 Time to go for a ride in a 1972 Beetle through the Tuscan hills! 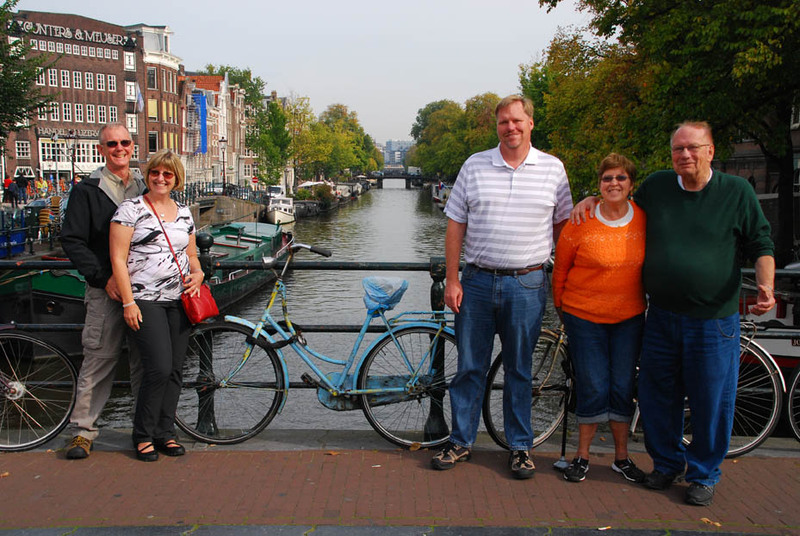 April Steve and Debbie from Chicago Italy First-time to Europe for this couple who we met at the January, 2013 Chicago Travel and Adventure Show. The couple had a dream trip including getting re-married in a tiny chapel at a gorgeous villa hotel in Tuscany. 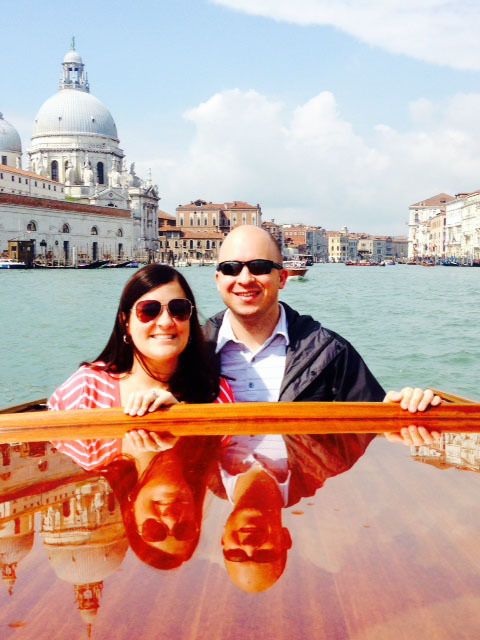 We also visited the Amalfi Coast, Venice and Rome. 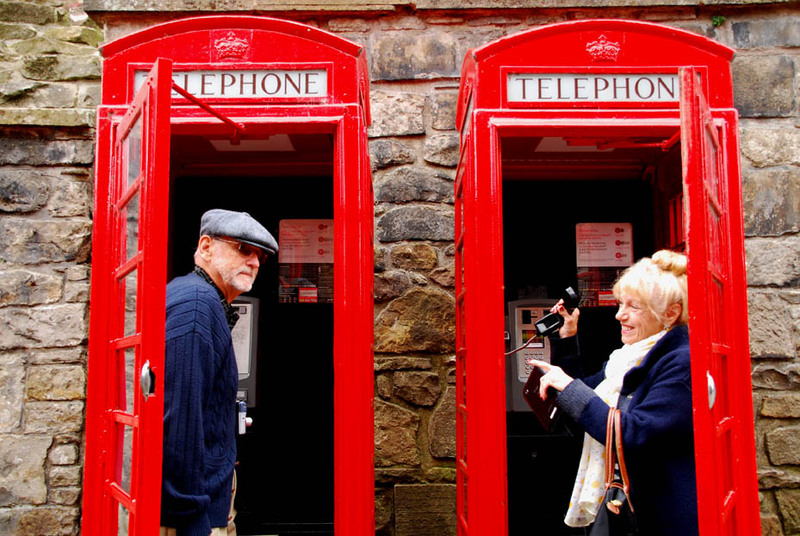 The pair have already booked their April, 2016 trip to Germany. Dan and Amanda enjoy a private water taxi ride to a glass factory on the island of Murano near Venice. April Dan and Amanda’s second tour with European Focus Italy with Jenean Dan and Amanda did a tour with Jenean and James in 2012 in Paris and in Germany. 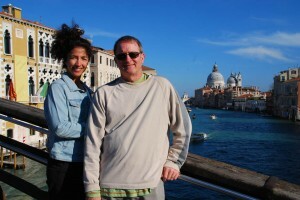 This time they toured in Venice, Tuscany, Umbria and Rome with Jenean. Where will the adventurous pair from North Carolina go next? Our guests love to keep track of the steps they take on each trip with their pedometer. Sounds like a great idea to us! Early May Pete and Gayle’s return trip France and the Camino Frances to Santiago di Compostela, Spain Texans Pete and Gayle have a deep interest in all things history. 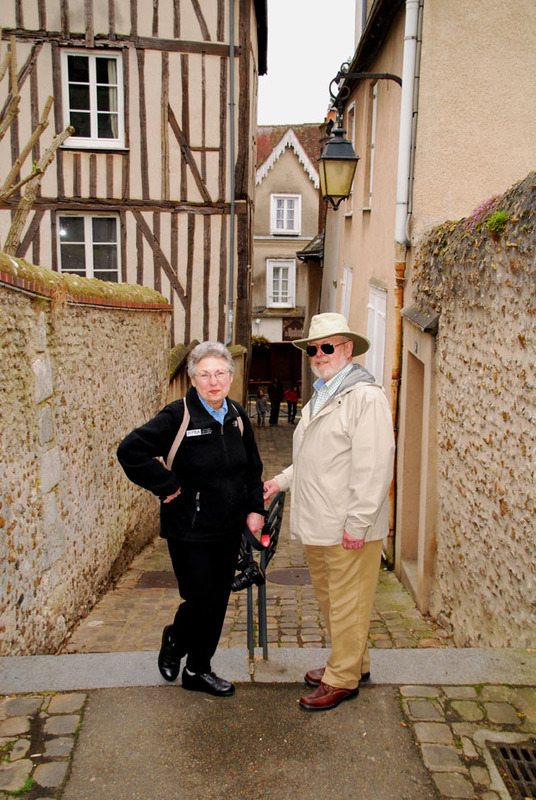 We started their trip in Chartres, France and ended up a bit more than two weeks later after many stops and an encyclopedia’s worth of education in Santiago di Compostela, burial place of St. James. Their third trip with us will take place in June, 2015 and will concentrate on ancient Roman history in Austria. 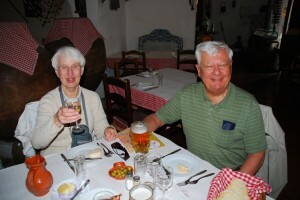 Art and Carol on Day 1 of their 7th trip with European Focus in May of 2014. 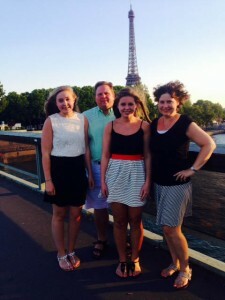 Their eighth trip is already booked for May and June of 2015. Later in May into June Art and Carol’s return to Europe Southern Spain and Portugal Art and Carol have taken more trips with European Focus than any other couple. This time we returned to Spain and Portugal, which they visited in 2013, for exploration of the southern areas including the Evora and the Algarve of Portugal, Toledo, Seville and Cordoba. Their next trip will be Burgundy, Normandy and the Loire Valley of France in May and June of 2015. 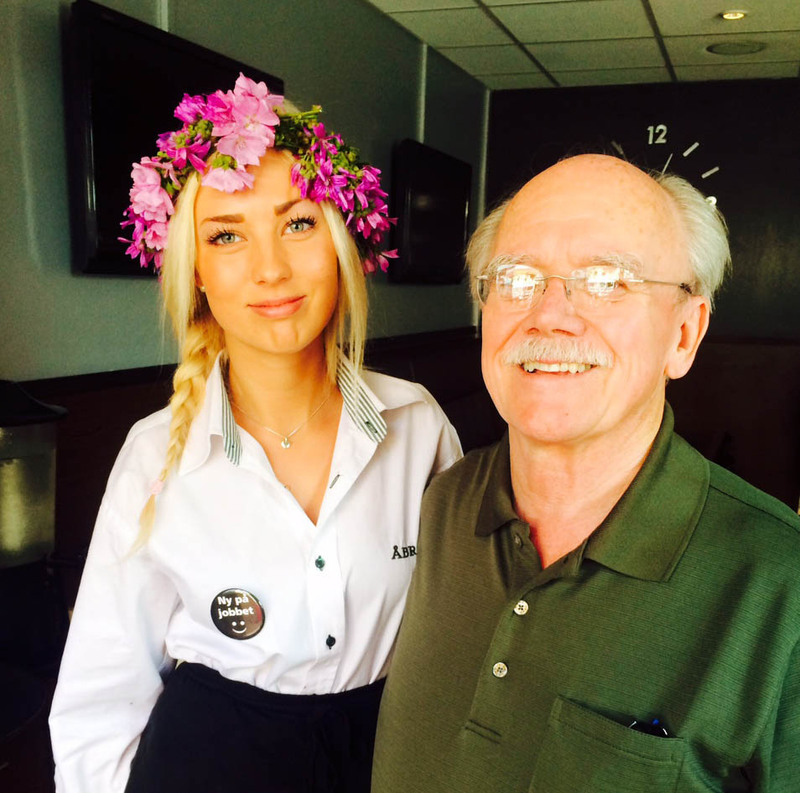 Dennis with a waitress at a cafe where we had lunch in Kalmar, Sweden. June – our busiest month Dennis with James and a family of four with Jenean Denmark, Sweden and France and Switzerland James went one way and Jenean went another to serve five clients. Dennis from Colorado took his second family history trip with James, this time to see numerous hamlets in Denmark and Sweden where his ancestors lived. He had a fun day with cousins in Sweden and we also returned to a couple of places in Germany that he saw in 2013 on his first trip. 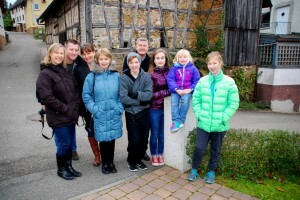 Jenean was with a family of four, first-timers with European Focus, in Paris and then into Switzerland and finally Bavaria. The husband, a former football player, was instrumental in helping to capture a gypsy who got into Jenean’s purse in a busy Paris restaurant. Thank you Scott! 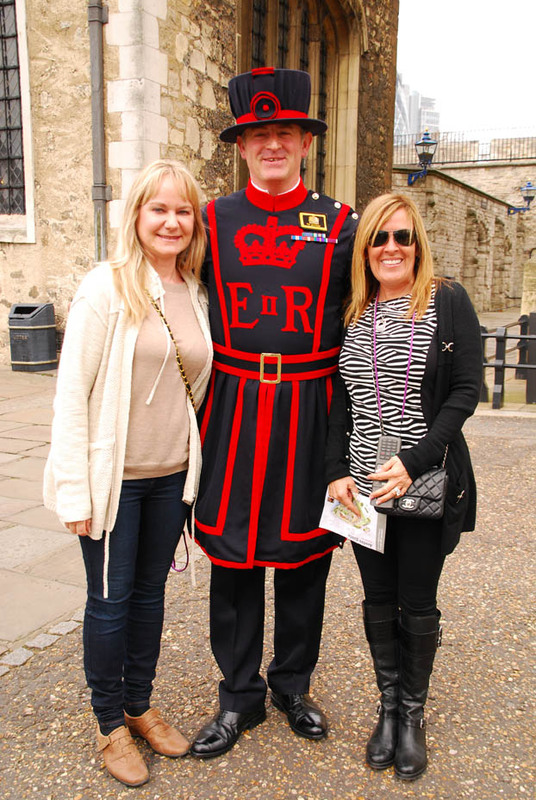 July Family of four from Texas Retracing their parent’s steps in England, France and Germany Jenean started out the trip by meeting sisters Monica and Sarah and two other family members in London. 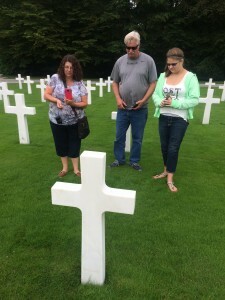 They then flew to France for a tour of the D-day sites with James joining. We traveled into Germany where they saw the air base where their parents were stationed and more including Trier and the Rhein Valley. July Family of four returns for Trip Three Germany, Austria, Poland and Prague Tim and his family come back bringing new family member Mary for a grand tour including lots of World War II history in Berlin, Stalag Luft III camp site in Zagan, Poland, the destroyed village of Lidice, near Prague and much more. We chilled for three nights and days in a spa hotel in Berchtesgaden and took in sights of nearby Salzburg. 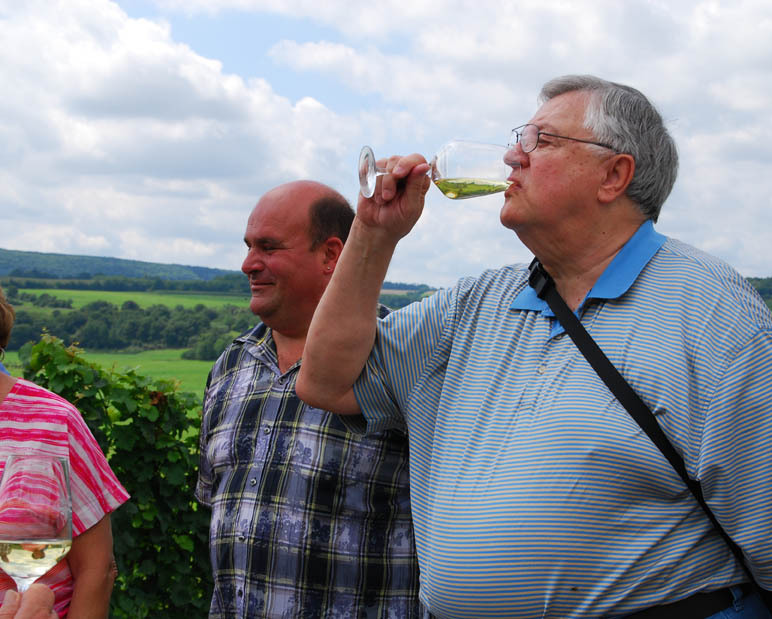 August Couple on a family history tour in Germany Carl and Barbara from Missouri James met the pair in Frankfurt and we went right to Carl’s ancestral village of Veldenz on the Mosel River not far from Bernkastel-Kues. Carl met cousins who are also wine makers. Thanks to in-depth research done by a colleague of ours, Carl was able to see an ancestral house and even go into that old home to take pictures. Drinking wine made by his cousins while standing on ground once farmed by his ancestors was a very special moment. We also visited ancestral areas in north central Germany and wrapped things up in the Schwerin, Mecklenburg-Vorpommern area. 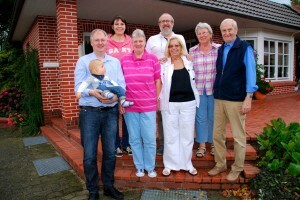 Dolores (in white) with family in Steinfeld, Germany. 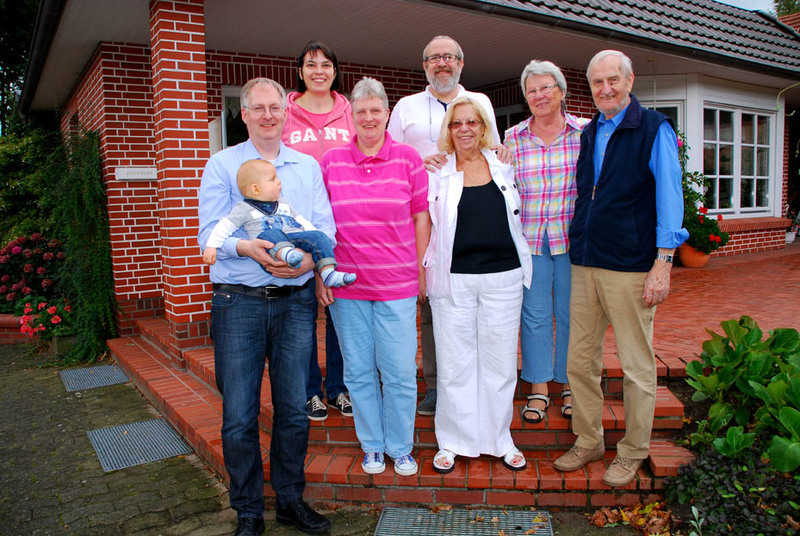 August First time to Germany after a lifetime of waiting Dolores meets cousins in Steinfeld near Bremen Dolores from New York was married to a World War II veteran of the French Resistance who prohibited any travel to Germany during their 53 years of married life. 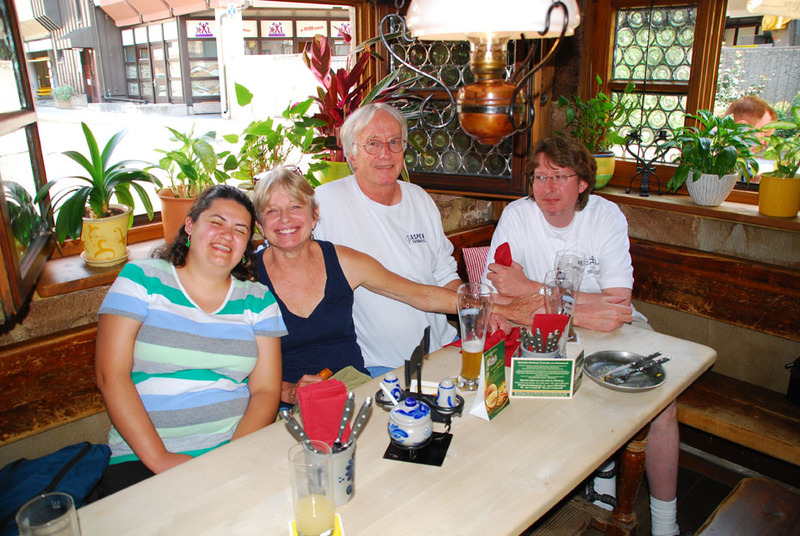 When he passed away, she and a cousin started planning this trip to see relatives and ancestral places in the Bremen area. Sadly, her cousin became very ill and could not make the trip at last minute but this die not stop Dolores from having, finally, the Trip of a Lifetime. August John and Janis in England and Scotland August is usually our quiet month but not this year. This busy period included a return trip with European Focus for John and his new bride Janis, who enjoyed several nights in London before a visit to historical Battle (Battle of 1066) and on to Salisbury, Stonehenge, Cotswolds and Stratford-upon-Avon as well as a final two nights in Edinburgh. September After a long break The Rosen Family from Minnesota Germany and Amsterdam More than a year of planning went into Marv Rosen’s trip with his daughter and his son, wife and son-in-law to visit relatives in Germany and to show them Amsterdam at the end of their 8-day trip, their first with European Focus. After spoiling everyone to the best of our ability we are sure that they will be back. Our guest Pat M. from Melbourne, Australia loves having time to line up the perfect shot. He had all of the time he needed throughout his trip in October, 2014. October Two guests from Down Under Germany After problems with river navigation turned their June, 2013 cruise into a horrendous bus tour, Pat from Melbourne decided ‘never again’ for a mass tour and started searching the net for something unique and more personalized. More than a year later James greeting the pair in Frankfurt for a trip combining family history with sightseeing in Bremen, Berlin, Dresden and Bavaria. A highlight was meeting a young cousin who traveled to Berlin from Poznan, Poland to meet Pat and his wife, Carol. October Guest from our home town of Sarasota, Florida Day tour to Appenzell We’ve known Mariana since about 2003. She had always mentioned her dream of seeing Appenzell, Switzerland. 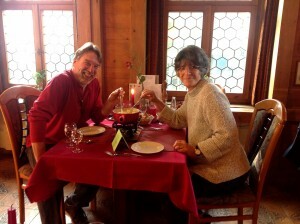 Finally the day came on October 20 when James picked up Mariana at the end of a river cruise and took her for cheese fondue and a walk around Appenzell. We had gorgeous Indian Summer weather. Eric and Patricia took a family history trip with Eric’s mom and brother with European Focus in 2006. 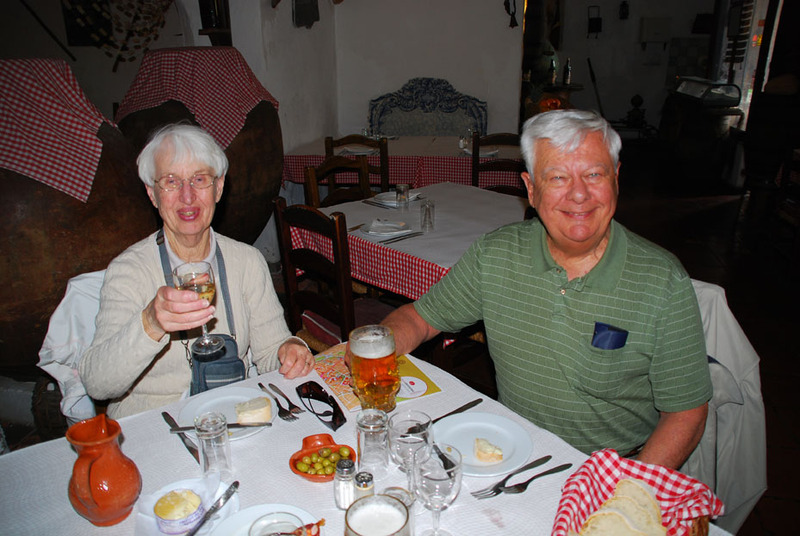 It was Patricia’s turn this time with a trip starting in Rothenburg ob der Tauber and heading through the alps of Austria on to Venice, then a week in Tuscany before ending with Orvieto in Umbria and a final day in Rome before flying home. This young couple have many more adventures in Europe ahead of them we are certain. The final trip of the season was with a family of nine from the Pacific Northwest. 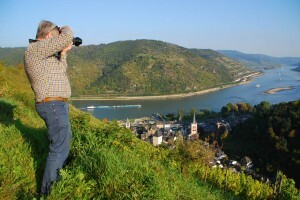 Roger S. wanted to show his kids and grandkids and his wife Deborah the places he experienced while stationed in Germany in the 1960s. The trip started on Nov 23 and ended on December 3 and included Rothenburg ob der Tauber, Schwangau, Nürnberg, Heidelberg, Ulm and the Rhein River Valley near Bacharach. Along the way we stopped to visit the village where his grandfather was born and also the former military hospital in Wiesbaden where his son, Eric, was born 45 years ago. The trip was booked in September, 2013. Be a part of our 2015 season by filling out your trip interest form today. We never add you to any annoying mailing list just for asking. Posted in Europe Tours and tagged 2015, calendar, clients, custom, designed, europe, in, openings, private, to, tours, where.